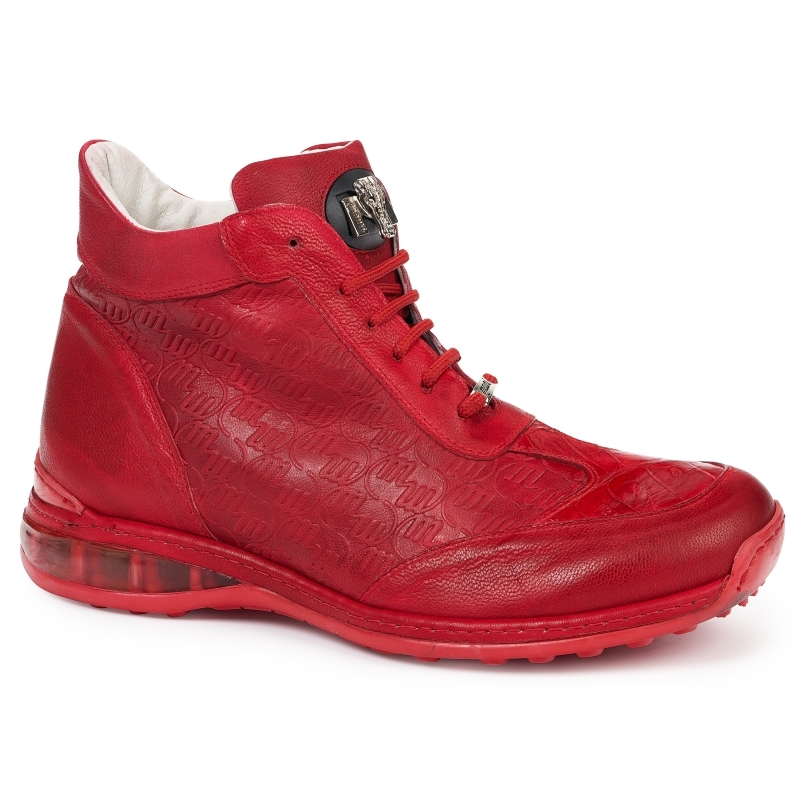 Awesome sporty high top sneakers featuring genuine crocodile leather on toe and embossed Mauri logo leather. Signature Mauri laces and sneaker tongue ornament. Made in Italy.